A Daventry industrial site could be extended to house an electronic goods recycling and recovery facility if planning application is granted. The proposal for the Nene House site on Sopwith Way in Drayton Fields was submitted to Northamptonshire County Council on behalf of CEVA Logistics Ltd, a global supply management company. This application seeks planning permission for a change of use of part of the existing industrial unit for the importation, sorting, recovery and reuse of electrical and electronic equipment supplied by Xerox. It would support the photocopier equipment distribution centre and would "reduce the amount of waste material sent for disposal by landfill" according to the planning statement. The proposed 2,250 square metres site could see the hiring of 25 full-time employees. Xerox wants to comply with Waste Electrical and Electronic Equipment (WEEE) regulations which aim to reduce the waste from, encourage the separate collection of, and encourage the treatment, reuse, recovery, recycling and sound environmental disposal of WEEE. 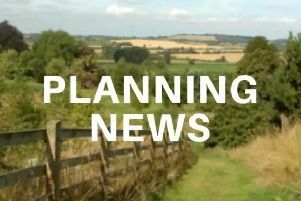 The planning statement says the proposal meets the objectives of local policies of sustainable waste management, will contribute to the needs in Daventry and west Northamptonshire for new waste facilities and will assist in the diversion of 25,000 tonnes of commercial waste from landfill per year. The applicants consider the impact on the immediate surroundings to be limited, with their statement describing the nearest residential property as being "a considerable distance from the site" and citing the number of warehouse units already present. It also states "no new built development or any increase in floor area of developed land at the site is proposed, thus, minimising the impacts on visual amenity."